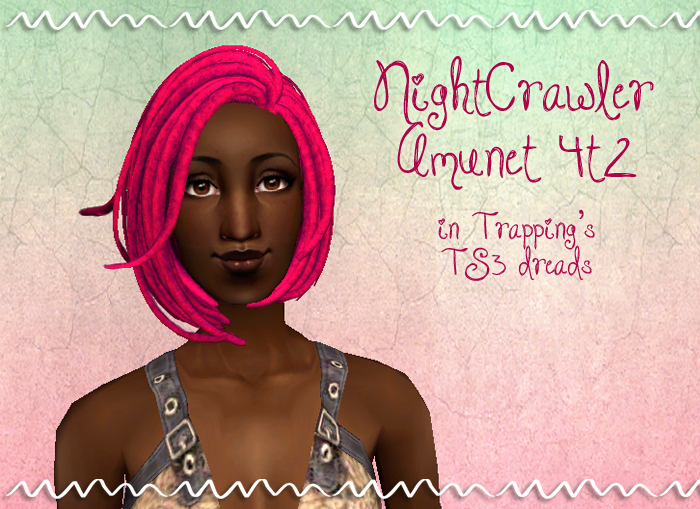 Two 4t2 Nightcrawler hairs today - Amunet in Trapping's TS3 dreadlocks and Break Free in Io's textures. They come in these colors and naturals except grays are binned but not familied. Memento converted this mesh with NightCrawler's original textures, which have a bit too much contrast for my tastes, so I thought Trapping's TS3 dreads would look nice. It might not look like a huge difference to most people but it's good enough for me. I've kind of stopped caring about polycounts - if my 7-year-old laptop can handle it, I'll retexture it. Although I don't think I'll do anything above 30K, that's kind of excessive. I still have plenty of lower-poly hairs in my to-do folder, no worries. Judging by the title and the style, this is supposed to be Ariana Grande's hair. 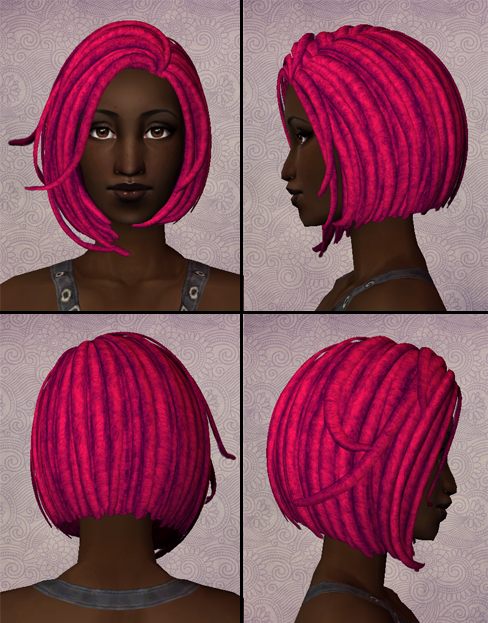 I can't stand her but I love this mesh :D Io's textures make it look so silky. I did 4 additional gradients with natural bases: Isis-Blasting Agent, Depth Charge-Toxicity, Serqet-Powder Cake (shown), and Molotov-Shock Wave.